Ed Seay graduated from the University of Florida with a Bachelor's degree in Landscape Architecture. Before he could begin his career in golf course architecture, he was commissioned as an officer in the U.S. Marine Corps. His architectural career would begin in 1964 as an Associate of golf architect Ellis Maples. Under Maples, Seay was involved in the design and construction of 27 golf courses. Ed Seay began working with legendary professional golfer Arnold Palmer in 1971. Eight years later, in 1979, Palmer and Seay formed Palmer Course Design Company, a complete golf course planning and design organization. The partnership lasted more than 30 years. Seay was the company's Executive Vice President and Chief Operating Officer. Ed Seay was involved in the design and construction of more than 350 golf courses worldwide and was a member of many professional organizations. Aside from his golf architecture accolades, he was a member of the American Society of Landscape Architects (ASLA), the Urban Land Institute (ULI), and the Advisory Board for the World Golf Hall of Fame. 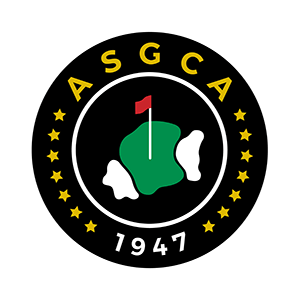 Seay was elected as a member of the ASGCA in 1970. He served as ASGCA President from 1976-1977, and was a member of the organization for 39 years until his death in 2007.